Wooden doors with two vertical panels and two horizontal panels. 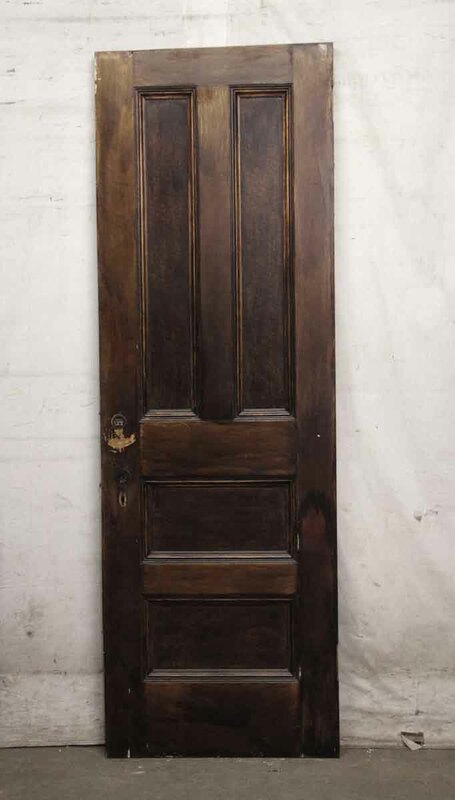 The doors are a medium tone on one side and a dark tone on the opposite. Original mortise lock still attached. Priced each.